I believe that every woman has a God-given call on her life. 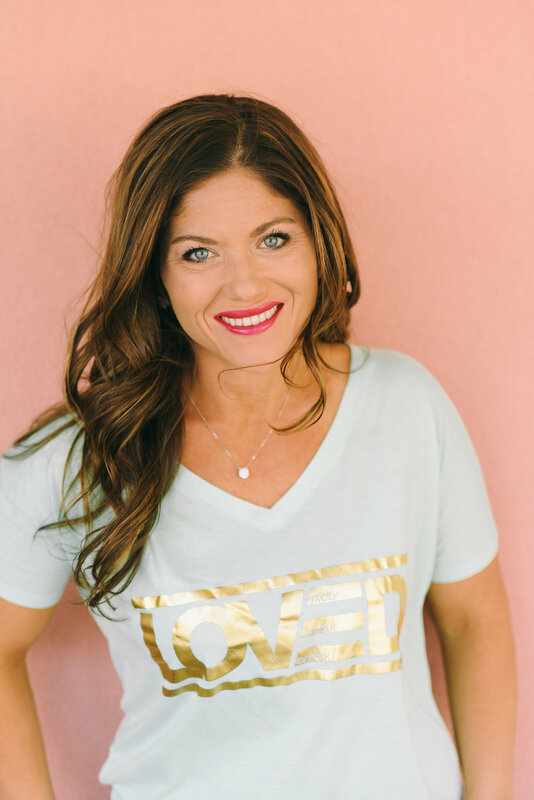 Hi, I’m Rachael, and I help Christian women overcome fear and insecurities so they can confidently pursue their God-given dreams. Do you desire to be a fear fighter and boldly crush your goals? I did, too! But I wasn’t sure how to turn those dreams into a reality. If you know me today, you may not believe that I used to be very shy and just wanted to blend in with the crowd. I remember hiding behind my mom as a child when someone asked my name. The label of “shy” followed me around until high school when I slowly started coming out of my shell. I began to take risks in high school, only to find myself making poor decisions that ruined my reputation. I vowed to move away to college and be unknown and unseen. But God had different plans. After I was married at the young age of 21, God got a hold of my heart in a very personal and real way and I haven’t been the same since. He took the pain that I encountered from my failures as a teenager and used them to shape me into the confident woman I am today. I can tell you with an assurance that God has fully pulled me outside of my shell and I am now fearlessly chasing my dreams. I now speak on stages(which I claimed I would never do), record live videos, and podcasts in front of thousands! The Lord has shown me that I wasn’t created to be shy, timid or fearful but instead to shine for him by confidently pursuing the dreams he has placed in my heart. In 2015 I began to blog, which has opened doors for me to write for magazines, publish devotionals, speak at women’s conferences and launch a podcast. I also co-host The Declare Conference, a conference that equips Christian women communicators. Most recently, God has opened a door for me to attend The King’s University where I am pursuing my Master’s in Marriage & Family Counseling. I have been writing and speaking on real topics that affect real people. That’s why I set out to create online services through blogging, podcasting and coaching to help women bravely live the life God uniquely designed when he knit you together in your mother’s womb. So why choose me as your coach? As you can see, God has taken me on quite a journey in life and ministry. Much like Moses, I was not born with the gift of speaking and writing but as I’ve said “yes” God has cultivated and equipped me for the call. He has brought many “Aaron’s” into my life to help unlock my gifts. I want to pass that gift on to others. I want to see women, just like you, say “yes” to God’s call on their life! I pray you are encouraged by these online resources to boldly pursue the dreams God has put within you! P.S. I have a very limited number of spots available for one on one coaching to help you discover your passions and confidently pursue your God-given dreams. Click the button below to find out more and reserve your spot! 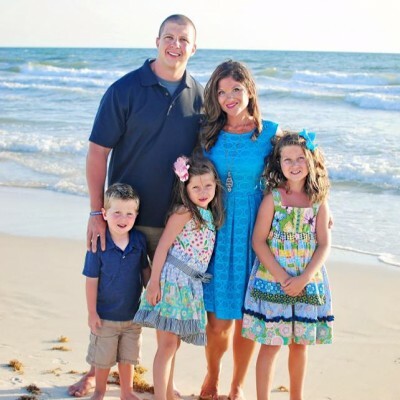 Rachael is a former Oklahoman turned Texan by her husband, homeschooling momma of 3, business owner & exercise physiologist. She is a co-host of The Declare Conference, author, show host of “Real Talk with Rachael”, and women’s conference speaker. She has published magazine articles in Studio G, MICI, Women to Women Ministries and Anchored Press planners. She loves Jesus and likes to run Spartans, half marathons and other races with her husband. She is passionate about seeing women walk in freedom in all areas of their lives!